Dr. Darty was born and raised in Walker County. 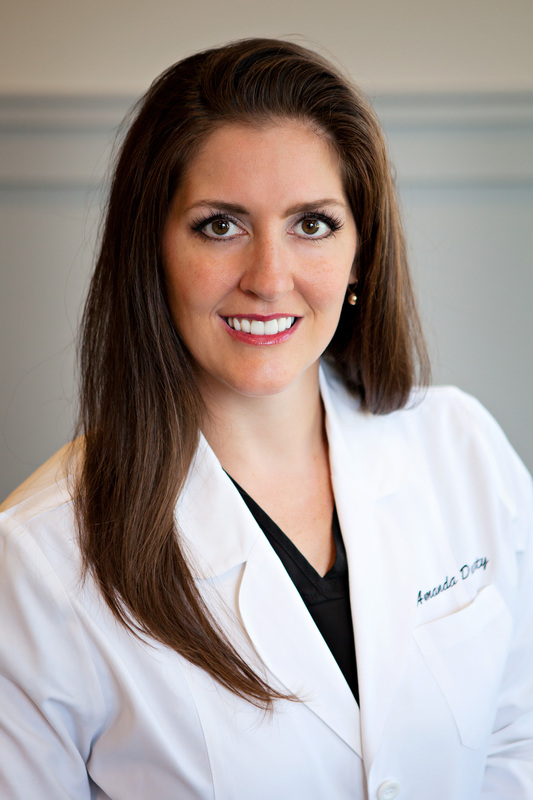 Dr. Amanda knew from a young age that she wanted to pursue a career in dentistry. A love of science and a passion for helping people strongly influenced her decision. Dr. Darty credits local dentists especially Dr. Buddy Thorne for helping her research the dental field and teach her about patient care. She received her diploma from Walker High School in 1997 and went on to graduate from Samford University in 2001 with a B.S. in Biology. After college, she attended The University of Alabama School of Dentistry and graduated with her Doctor of Dental Medicine degree in 2006. Dr. Darty regularly attends continuing education seminars and has taken implant courses at the Las Vegas Institute. Dr. Darty attends various study clubs and conferences through out the year. Keeping up with new procedures and technology is a top priority for her. She has completed a Botox and Derma Filler program under Dr. Peter Waite. She also has completed CEREC and Invisalign training. Dr. Darty is especially happy to be back in her home town providing care for the people of Walker County and surrounding areas. She enjoys giving back to the community and is active in community activities and local non-profits. Dr. Darty is married to Sergeant First Class Richard Trah Anderson. Dr. Amanda has one son, Chase, and two step sons, Logan and Luke. They enjoy time spent together traveling and participating in sports activities, as well as time spent with extended family. Dr. Darty and her family are members of First United Methodist Church in Jasper.